Lisa Villegas has been hired as Chief Meteorologist at CBS affiliate KOLD in Tucson. The move is a 64 market-drop from her previous job in Dallas (DMA 4), but marks a step up from morning to primetime weather anchor. Starting Monday, October 9, Villegas takes on the 4, 5, 6, 9 and 10 pm shows, working for both KOLD and sister station KMSB, a Fox affiliate. 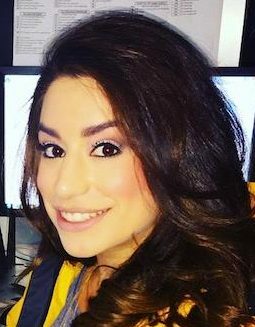 Before relocating to Arizona, Villegas was morning meteorologist at KTVT, the CBS O&O in Dallas from September 2014 to March 2017. She previously spent three years at KRGV in the Rio Grande Valley as morning meteorologist. Prior to that, she worked as weekend meteorologist at KLFY in Lafayette, Louisiana.